Hundreds of civilians have allegedly been killed in western Mosul during the first week of March during battles to capture the city, according to reports monitored by Airwars. Airwars has reviewed eleven separate incidents that occured over the first six days of the month, each of which was blamed – in part or wholly – on the Coalition by at least one source. Local reports allege that between 250 and 370 civilians were killed in these attacks. Four of these incidents have thus far been graded by researchers as fairly attributed, meaning there were two or more credible reports blaming the US-led alliance, and with Coalition airstrikes confirmed in the area. Those four incidents alone indicate between 71-79 civilian deaths. The other events feature contesting reports that also blamed Iraqi forces or so-called Islamic State. Whoever the perpetrator, the reported upswing in civilian casualties in the first days of March serves as a bloody harbinger of the civilian toll in western Mosul. The right bank of the Tigres River was left by Iraqi forces for last, as it contains the bulk of Mosul’s civilian population and is far more densely settled than neighborhoods in the city’s east, which Iraqi security forces declared liberated in late January. Iraq launched operations to capture western Mosul on February 19th – four months after it entered the eastern side. The UN estimated at the time that some 750,000 people remained in west Mosul, a figure that has only marginally diminished since then. 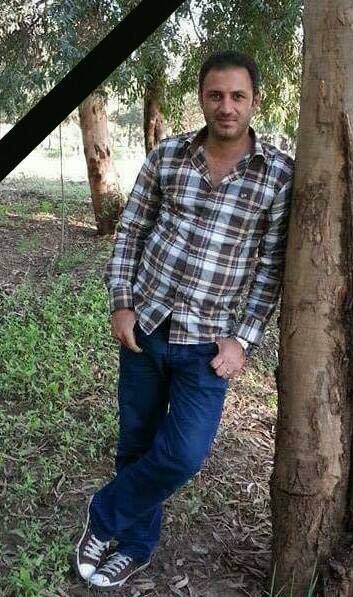 Thanon Alaa Younis, reported killed in Coalition airstrikes in the Farouk neighborhood on March 1st. Image courtesy of Mosul Ateka. Civilian casualty incidents from airstrikes in western Mosul were already being reported during the campaign to liberate the east of the city, and continued into the last weeks of February. However the reported death toll appear to have escalated in March. (For reference, an analysis of civilian deaths in January can be read here). One of the deadliest recent incidents occurred on March 1st, when a mosque used for shelter by displaced family was hit by several airstrikes. Ninevah Media Center reported more than 80 civilians were killed or wounded, while Mosul Eye put the number killed at “more than 50.” The outlet MNN attributed the attack to the Coalition, while Reuters cited three local eyewitnesses who blamed unidentified aircraft. One victim, identified as Thanon Alaa Younis, was listed by Mosul Ateka as among the dead. 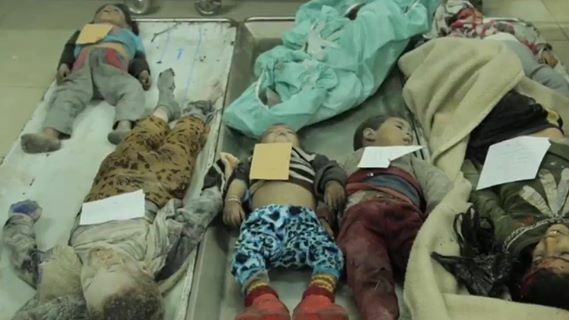 On the same day, Airwars researchers monitored reports of at least four more civilians killed and 14 injured after airstrikes in the vicinity of Sha’aren Market. Reports did not attribute the strike. On March 2nd several outlets – at least one of which cited ISIL affiliated media – reported that 20 civilians were killed and 18 wounded in a Coalition bombardment of west Mosul’s Shifa neighbourhood. Some reports said a strike hit a residential building. Also in west Mosul – this time in the Nabi Sheet neighbourhood – 14 civilians from three families were alleged killed by a Coalition airstrike that targeted what may have been a car bomb. FaceIraq identified one of the families as that of Nazim Abdul Rahman. Though reports do conflict and are not always entirely clear, there are confirmed signs that the civilian toll in western Mosul has been massive. According to the UN’s humanitarian agency, more than 500 people escaping the city have been treated at “trauma stabilization points” for conflict-related injuries. The number of displaced also indicates a clear trend: In the week between February 27th and March 4th, the UN estimated that some 42,000 people were displaced fromn Mosul, including 13,350 on March 3rd alone. The following day, March 4th, saw fresh attacks on west Mosul – centered this time in the Al Mahatta neighborhood – that allegedly left at least 36 civilians dead, including five children. Those estimates and associated images appeared to originate with ISIL-controlled media, though the incident was picked up by more than a half-dozen outlets. Iraqi Spring Media Center published extremely distressing photos, apparently taken from a video, that showed several dead toddlers lying in what appeared to be a hospital or morgue. Both the Coalition and Iraqi forces were blamed for the attack. Children reportedly killed in a March 4th strike in western Mosul. Photo is a screenshot of a likely ISIL propaganda video that was archived by Iraqi Spring Media Group. What may have been the deadliest incident in western Mosul to date occurred on March 5th, when local sources indicated that as many as 130 civilians were killed during an assault on a government compound in the Dawassa neighborhood. Both Coalition and Iraqi forces were cited for attacks, and several outlets reported that US Apache helicopters were involved. Images reportedly of the neighborhood that were posted to social media showed the area in ruins. On March 6th, new reports indicated that between 25 and 33 imprisoned Iraqi police and security forces were killed by Coalition strikes near the central railway station. There were reports that the site of the attack had been used as a detention facility, and a number of ISIL fighters was also reported killed. As Reuters also reported on March 6th, Iraqi officials now believe the fight in Mosul “will enter a more complicated phase in the densely populate old city.” The Iraqi military estimates that “several thousand” militants remain. Unless measures are taken to reduce civilian harm, death tolls similar to those seen in the first six days of March may well continue for weeks to come.